Today’s stories come from the past, with the difference that their ending has not been written yet. For those who will write their ending, there’s just one thing to note: each of us has the possibility to make the world a better place, but no one can do it just by himself. Ask something to an Israeli and you will get a story in reply to your question. It’s a characteristic of the Israeli culture, the same way an Italian uses hands gesture when explaining something. Following a long time as a leadership trainer in the IDF, Eliav understood that to ensure the rise of a new generation of leaders in Israel it was necessary to involve 16-18 years-old young people in a programme that, instead of being limited to the acquisition of leadership skills, it would have let youths discover their identity as leaders first. 20 years ago, hence, Eliav started LEAD and today he keeps polishing his diamonds, who, using his metaphor, are just young people like us. It’s here that I realise my difficulty in understanding how an adult man, in the middle of his job career, can nurture such faith in people of my age: I am deeply grateful for having followed his dream and for reminding me that I can change things that don’t work in society. If you google “Morris Kahn” you will get several lists of the richest men on Earth; Mr Kahn’s place may vary depending on the year that you are looking at, but he is around the 150th place. We are talking about “economical wealth”, which can be easily proved with the skyscraper owned by Mr Kahn in centre Tel Aviv, the pictures that show him holding the model of a space rocket in his hands and the luxury office that left all of us with no words. However, beside the lists, you can find other pictures: there he looks like a smiling grandpa, sometimes surrounded by brown-skin kids, sometimes with the Israeli flag behind him. This is exaclty how Morris Kahn introduced himself to us, ambassadors of LEADIt, at the point that, while I was presenting him my project, the most difficult thing was not only not to make mistakes in English, but also not to be distracted by the way he was watching us: for all the time I spent with him in fact, he smiled and nodded at my words. Morris Kahn listed to the projects of other two ambassadors, hence the story of Elettra and of LEADIt, and eventually proved us to be a real Israeli, telling us some of his stories. One of them is about his two loves: the one for Africa and for medicine. He managed to put these interests together building a non-profit organisation that helps kids affected by specific medical conditions and trains African doctors on spot. It’s also quite fascinating that this philanthropic man loves attending surgeries: I can imagine him wearing the green vest while observing, as a kid would do, the doctor working. Finally, if it’s true that Morris Kahn measures wealth not in terms of the number of skyscrapers and bank accounts he owns, but instead according to the good things done for the benefit of others, the third story is the demonstration of his unconventional concept of wealth. Everything starts with a stone thrown into the water and it continues with the circles that are quickly formed in the water, around the stone; they multiply, become bigger, but they are always concentric. 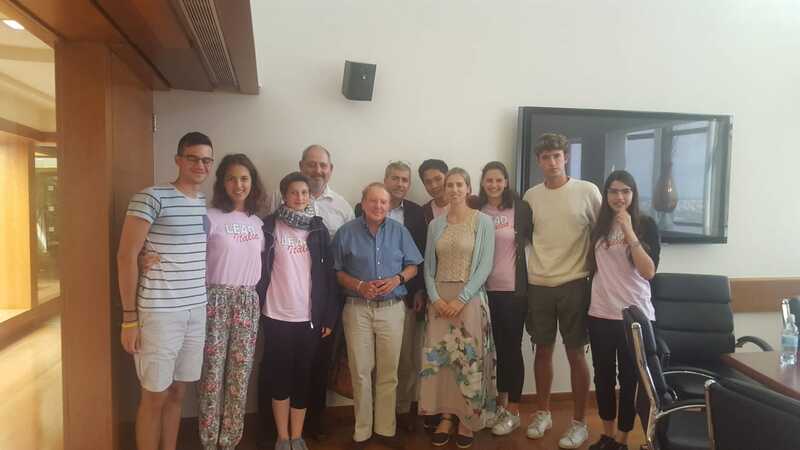 LEAD Israel is the stone that Morris Kahn and Eliav Zakay threw in the water: while the first circles are the projects that the Israeli ambassadors created, the latest are our ambassadors’ projects in Italy. Our circles seem very far away from the centre – in fact, Israel is not that close to Italy – but they are wider and will take LEAD far away. Where can our circles lead to? The answer is the dream of Maria Elettra Favotto. The first chapter of her dream was built in Italy, with the establishment of LEADIt; the second in Israel, when the Italian ambassadors met the Israeli ones for the first time. The following chapters, instead, will come true when leaders from all parts of the world will meet. Hence, going back to the circles in the water, they will soak as many countries as possible, so that a network of young international leaders who really want to make the difference and collaborate will be formed. Elettra, the same way Morris did with his stone, knows that this is the only way to make the world a better place. There are still two stories left and they both have as main characters the Alumni community: we refer to the Alumni as the group of those who completed the first two years in LEAD and for whom a new phase of the programme starts. 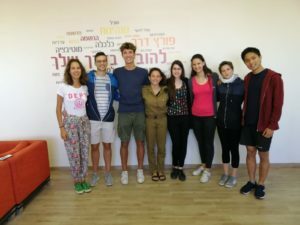 The Israeli alumni community includes hundreds of members and surveys seem to say that it’s the most participated community of alumni in Israel. The secret? Self-management and gaze towards the future. 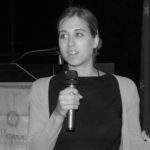 Self-management as the alumni themselves organise conferences and workshops to answer to their own questions and the daily challenges: they do know these questions far more than any other adults who could build a programme for them. Gaze to the future, as these young leaders are committed to develop projects that will bring change and innovation, at times building entrepreneurial initiatives. Despite our alumni community was built only two months ago, we have already built a list of projects and opportunities for our future, that will become real soon. Tamar was the last one to tell us a story in this second day in Israel. She doesn’t wear colourful trousers, t-shirt and flip flops anymore, as we saw her last year in Italy, but she is wearing the IDF uniform: her hair is tighten up, and she has a necklace with an ID number. If you look carefully when you walk down the street, many other youths go around dressed up like Tamar. Everything looks weird and sad until you look them in their face and listen to their story: they are smiling young people, proud of what they are doing. The military service is mandatory in Israel, it lasts a minimum of 2 years for the girls and 3 for the boys; it can be compared to a job and it’s an essential service to a country that is fighting a war. It’s not easy to understand this kind of need for those, like me, who met war only in books or saw it on the news. Day by day, I tried to look at the Israeli situation from the perspective of someone who can walk peacefully down the street only because there are soldiers who work in the borders and protect people from the attacks. I stopped looking at those soldiers with sadness thanks to Tamar’s story: most of these young people don’t hold a gun and do not go to fight, instead they work in other fields, doing other types of services. Tamar ended her story teaching us what LEAD taught her: if you stick to your values there’s always a possibility to play your part – also in a strict environment such as the military one – to contribute and grow personally.